Avocado juice is a wonderful thing, but it must be said that the avocado is one of the few fruits and vegetables that you cannot juice in a juicer machine. That being said, it is extremely easy to make an avocado juice using your blender. And you’ll want to do just that because the avocado is a smoothie essential and one of the best fruits to blend. Why? It lends instant creaminess to any smoothie. It adds a hint of sweetness, too. And it is one of the healthiest foods you’ll ever eat. In fact, did you know that the avocado made it into the Guinness Book of World Records as the most nutritious fruit in the world? It’s not so surprising considering these pear-shaped beauties contain pretty much everything your body needs. In just one humble avocado, you’ll find an array of vitamins, minerals, proteins, and even essential fatty acids (EFAs). It’s these EFAs that really set the avocado apart from the rest of the fruits, since most fruits don’t have any healthy fats to speak of. The avocado, on the other hand, has a healthy heap of EFAs, which are crucial to your diet and help everything from hormone regulation to promoting weight loss. Avocados are also referred to as alligator pears in some parts of the world, thanks to the raised bumps and grooves on their outer shells. Avocados have a very creamy texture that makes them ideal of creamy smoothie blending and a slightly sweet, wholesome-tasting flavor profile. Plant geneticists believe that the ancestor of the modern avocado first took root in South America 10,000 years ago. Moreover, archaeological digs in and around Central and South America suggest that ancient peoples have long since cultivated this green fruit as early as 900 A.D., during the time when primitive agriculture was still on the rise. When you think of juicing for weight loss, you may think of low calorie veggies like celery, cucumber and leafy greens. But avocado actually tops the list as one of the best foods to juice blend for weight loss. Which may be surprising at first – after all, the avocado is not exactly low in calories, with a single avocado weighing in at a little over 300 calories. But just looking at its calorie count is misleading, especially when you consider that the avocado is a very rich source of metabolism-boosting protein and belly fat-fighting healthy fats like monounsaturated and oleic fatty acids. In fact, a recent study found that a diet rich in monounsaturated fat may actually prevent belly fat by down-regulating the expression of certain fat genes! Extra perk? Avocados are seriously filling and will keep you satiated for hours, thanks to their rich nutritient and fat content. You already know that avocados are one of the richest sources of monounsaturated fats in nature and you know what that means? Apart from helping keep blood pressure levels ideal, monounsaturated fats also help get rid of “bad” LDL cholesterol that can lead to a variety of unwanted heart problems like atherosclerosis and coronary microvascular disease. This is one of the reasons we highly, highly recommend adding avocados into your smoothies – healthy fats aren’t easy to get from most fruits and veggies so take advantage of it with this luscious green fruit. 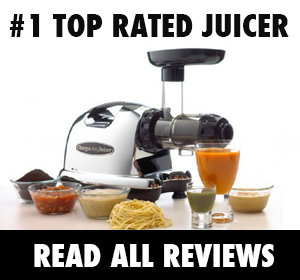 You know all those amazing, disease-fighting antioxidants you’re getting from your fruit and vegetable juice recipes? Want to make sure they get maximum absorption into your body? Add an avocado to the mix. The monounsaturated fats in avocado actually boost carotenoid absorption, allowing your body to absorb three to five times more carotenoids. That’s because some vitamins are fat-soluble – like vitamins A, D, E, and K – and require dietary fats to be digested in the human body. 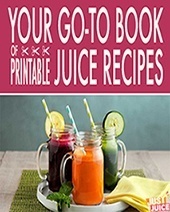 The easiest way to ensure this is to juice a variety of fruits and veggies and then toss that juice into the blender with an avocado for a amazing super-avocado juice. Avocados not only increase the antioxidant absorption from other foods, but they’re also packing eye-protecting antioxidants themselves. Yup, these little green beauties are rich in both lutein and zeaxanthin, two phytochemicals that are crucial for eye health and scientifically proven to reduce the risk of cataracts and age-related macular degeneration. There are phytochemicals in avocados that stimulate the pancreas to produce sufficient levels of insulin in the body to metabolize blood glucose more efficiently. The oleic acid in avocados were even shown to enhance insulin production. Plus, avocados only contain approximately 0.2 grams of sugar, which makes them suitable even for diabetics. On top of all that, avocado is rich in fiber as well as vitamin K – both of which are super helpful in regulating sugar metabolism and insulin sensitivity. If you’re looking for an easy, healthy way to fuel up – look no further than avocado juice. A recent study in the American Journal of Clinical Nutrition found that a diet high in oleic acid (monounsaturated fats) boosted physical activity as well as post-meal metabolism. Yup, an avocado juice may be just the thing to power your workouts and keep your metabolism on fire even after you leave the gym. Avocados are seriously rich in fat – but it’s not just any old fat. We’re talking oleic acid, which has proven anti-inflammatory properties that come with a slew of benefits, including speeding up wound healing, staving off inflammatory-related diseases, and even reducing the inflammatory symptoms of arthritis. Avocados contain very high levels of essential nutrients and antioxidants like pantothenic acid, potassium, omega-3 fatty acids and biotin that help fight off cancer-causing free radicals and toxins. The glutathione, vitamin C and vitamin D in them also improve the body’s immune system while at it. The high folate and omega-3 fatty acid content of avocados make them one of the best fruits to reach for when you’re looking to keep Alzheimer’s and Parkinson’s disease at bay. They are also proven to help boost memory retention even well into old age. Avocados naturally contain antioxidants like Vitamin E, glutathione and biotin that help keep the skin supple through the years. Akin to cucumbers, they are pretty much a mainstay in spa treatments around the world. In 1983, there was a study comparing the fiber content of 16 fruits and 18 vegetables. Of all these, only the avocado was found to contain large amounts of both soluble and insoluble fiber. Fiber is crucial to a healthy digestive tract, as well as in overall disease prevention as high fiber intake has been shown to lower the risk for cardiovascular disease, some cancers, hypertension (high blood pressure), diabetes, and obesity. One of the easiest ways to get your fill of avocado juice every day is to blend an avocado with pretty much any juice recipe you’ve made. 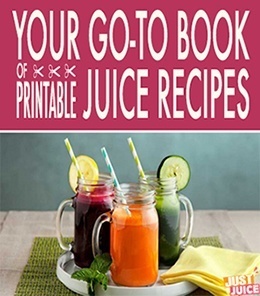 Yes, it does involve using both your juicer and blender but it’s a super simple way of getting a load of healthy fats and proteins as well as ensuring maximum absorption of antioxidants! It’s the perfect avocado juice to sip on during hot summer days! This superfood-packed avocado juice recipe is deeply nourishing and very filling – and that satiety doesn’t leave you for hours. Plus, the minty chocolate flavor is incredibly delicious! 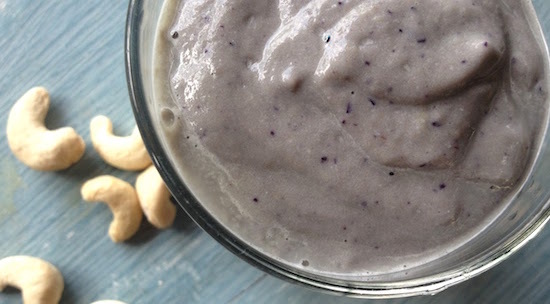 To make cashew milk, go ahead and blend the raw cashews with the cup of water first until the water becomes cloudy and “milk-like.” Then add the rest of the ingredients and blend again. Voila! 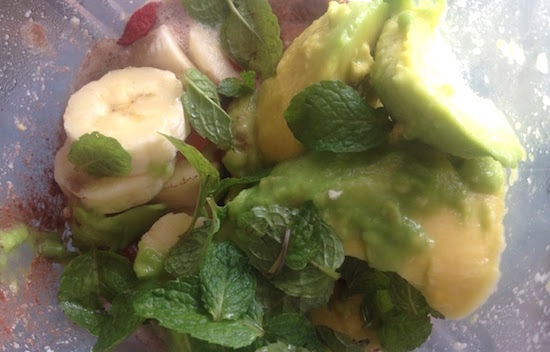 Super delish and antioxidant-rich avocado juice! Okay, we’re not done yet…here are a bunch of avocado fun facts for you to ponder while sipping on that yummy avocado juice! Avocados have a very peculiar yet unique attribute. Now while these fruits become mature on the tree, they need to be picked first before they can become totally ripe. Got some underdeveloped avocados and want to speed up the ripening process? Simply putting them inside a paper bag will hasten the ripening process. Aztecs consider avocados as an aphrodisiac and only married men and women were allowed to eat it in their culture. Etymologists believe that the name “avocado” was derived from the old Nahuatl Indian word for “testicles” because of the fruit’s overall shape that resembled a certain part of the male anatomy. Over 90 percent of the world’s avocados are grown and harvested in the state of California in the United States. Unlike other fruits that can upset the stomachs of very young children, avocados can be used as baby food. The most popular avocado variety is the Hass. It is named after Rudolph Hass, who thought the avocado tree in his backyard looked a bit different than the others. He eventually applied a patent for it in the 1930’s. All Hass avocado trees in the world can trace their ancestry to the one in Rudolph Hass’s backyard. Thanks, Rudolph Hass!